Vanguard Space Marines are invading the tabletop sometime in March with the new boxed set, Shadowspear, from Games Workshop. 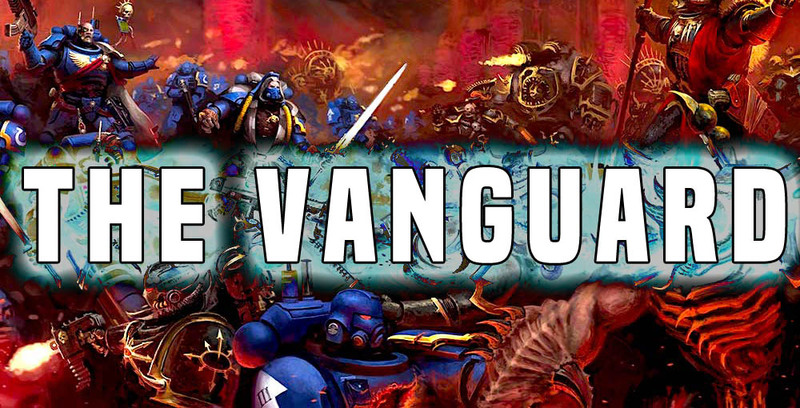 But who exactly ARE the Vanguard Space Marines and what does this mean for the other units like Reivers and Intercessors? The LVO Warhammer Preview had a LOT of info. 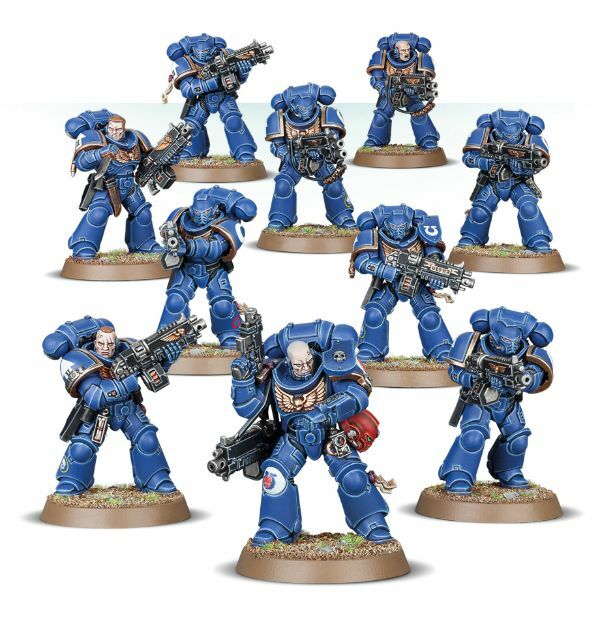 One of the things that we’ve been skipping over has been the arrival of these new Vanguard Marines. We had some rumors that we talked about earlier, but I wanted to do a little bit more analysis of the artwork we have seen thus far. So let’s dive in. And then we also had the artwork for Abaddon that was ALSO teased. And, lo and behold, GW confirms that a new Abaddon is ALSO on the way. 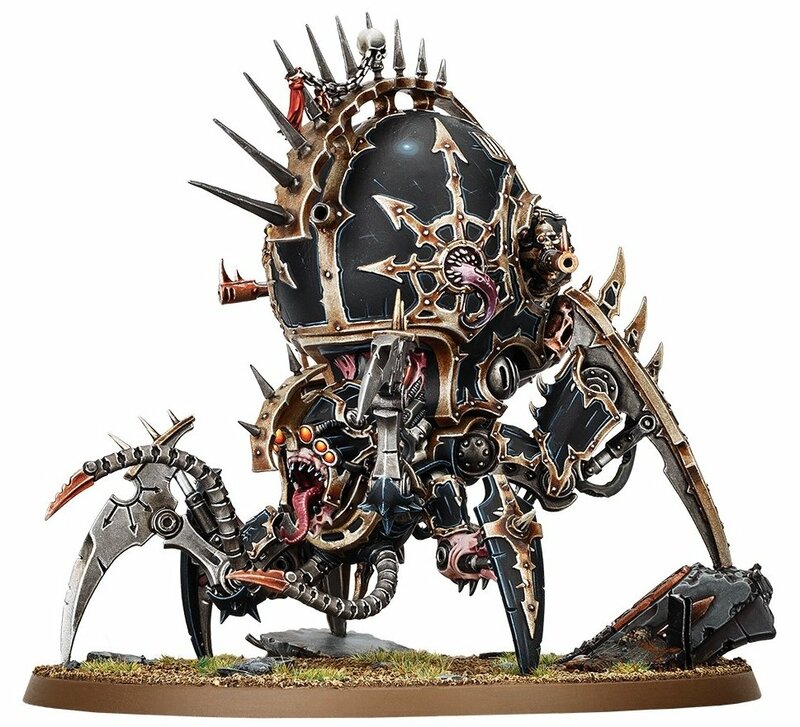 The point is, GW does drop hints in their art work and have done so many times before. So these marines are not your typical Reivers (but we knew that) – so why do they share such similar attire? What will their role be? The title Vanguard implies that they are forward elements to the army – they go in first. Heck, even the new Camo-Cloak wearing Eliminators appear to be Scouts – only bigger and badder! Yes, it’s pixelated and blocky, but we’ve got a few questions. 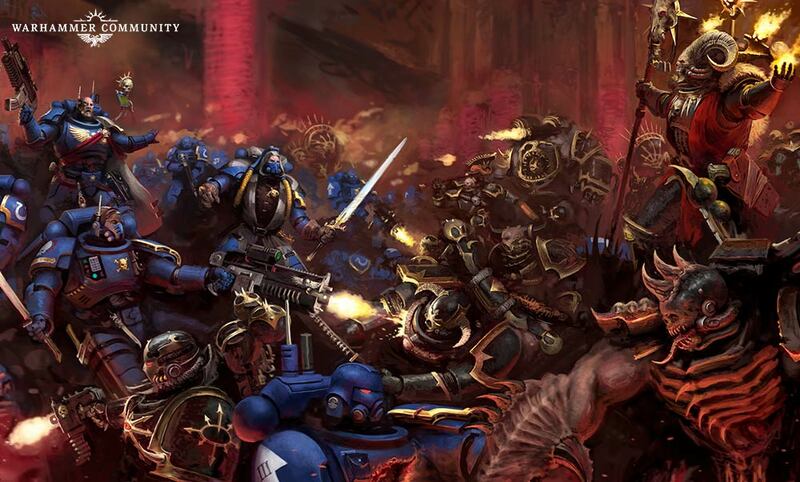 First off, that bolter is just…odd. Maybe it’s a perspective thing or something, but it looks like it’s got a MUCH bigger blast coming out of the barrel comparatively. Perhaps the artist just got a little carried away….but what if this IS a new weapon option? 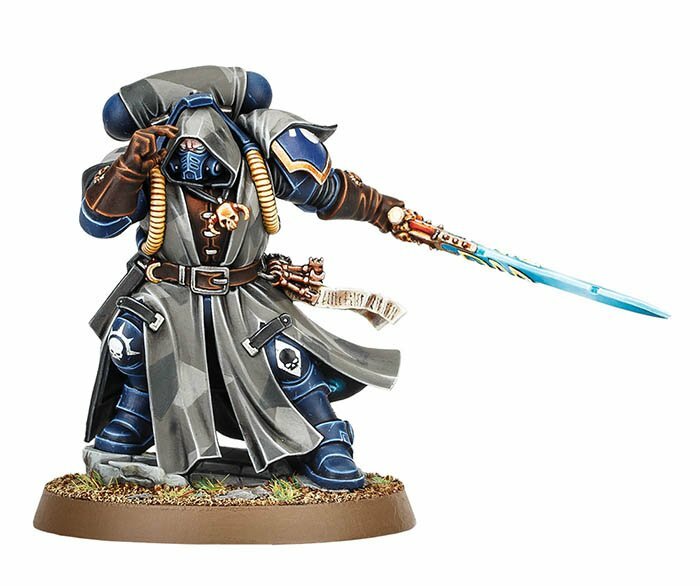 We have been lamenting the fact that Primaris don’t seem to have a ton of special or heavy weapon options – it’s just Plasma or a Bolter variant. Oh, and did you notice their Shoulder Pad marking? That’s a Troop slot insignia folks. The Scouts, Tactical Marines, and Intercessors are getting some more competition in the Troop department. That’s exciting news for Space Marines of all flavors! This does raise some questions about these other units. 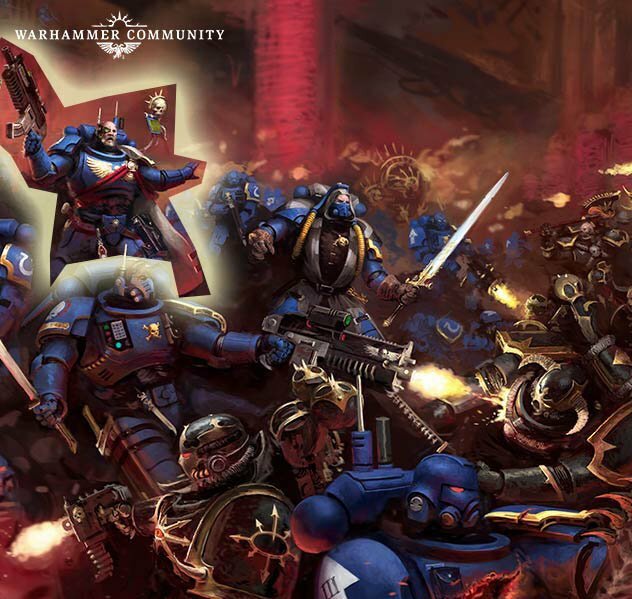 First off, since the Vanguard is being added to the Troop slot, does that mean that Intercessors are considered the “firebase” unit while these Vanguard are considered the “close combat” troop option? 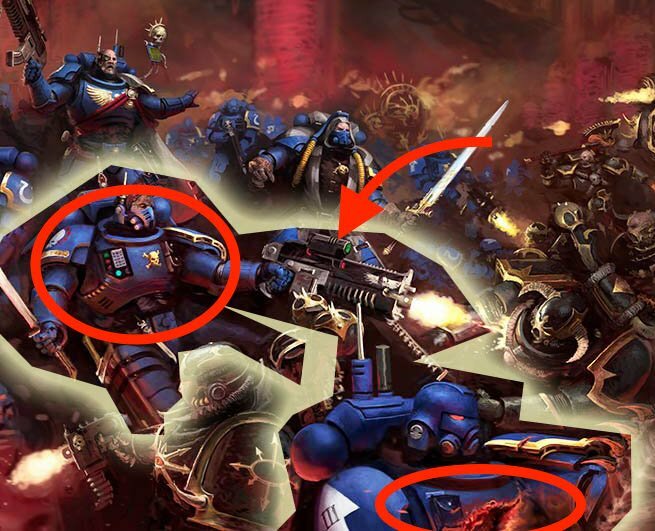 Their weapons are similar, but Vanguard is shown with the close combat option and Bolter variant in the picture. Will the Space Marines get a dedicated Close Combat option in the Troop slot? That would be interesting, wouldn’t it? And for the Reivers, have we had them wrong this whole time? They are supposed to be elite terror troops, but the community at large hasn’t embraced them. 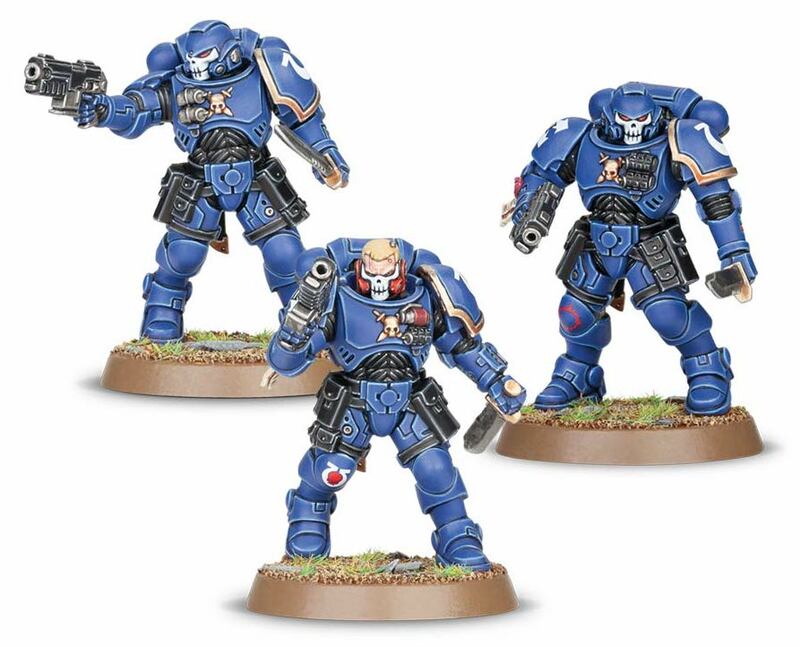 They move like Scouts, seemed to infiltrate like Scouts, and were used on the tabletop like Scouts…so folks just assumed they were the Primaris version of Scouts. 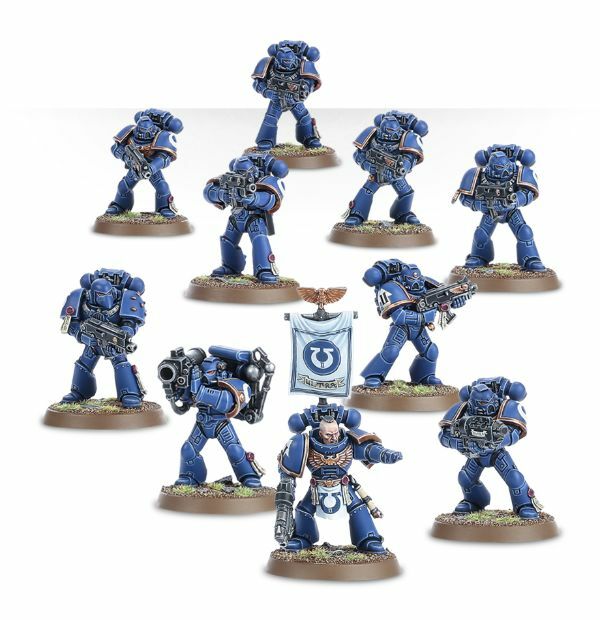 But what if these new Vanguard marines are the actual Scout replacements? And Reivers are just…a not particularly well liked/used option. This is just another nail in the coffin for the trusty Tactical Marine. Another newer, shiner, and (probably) a better option is rearing its head. Maybe that was why GW wanted to test the Bolter Rule – maybe it was a test to see how the Vanguard bolters might impact the game without actually releasing their rules or tipping their hand early. 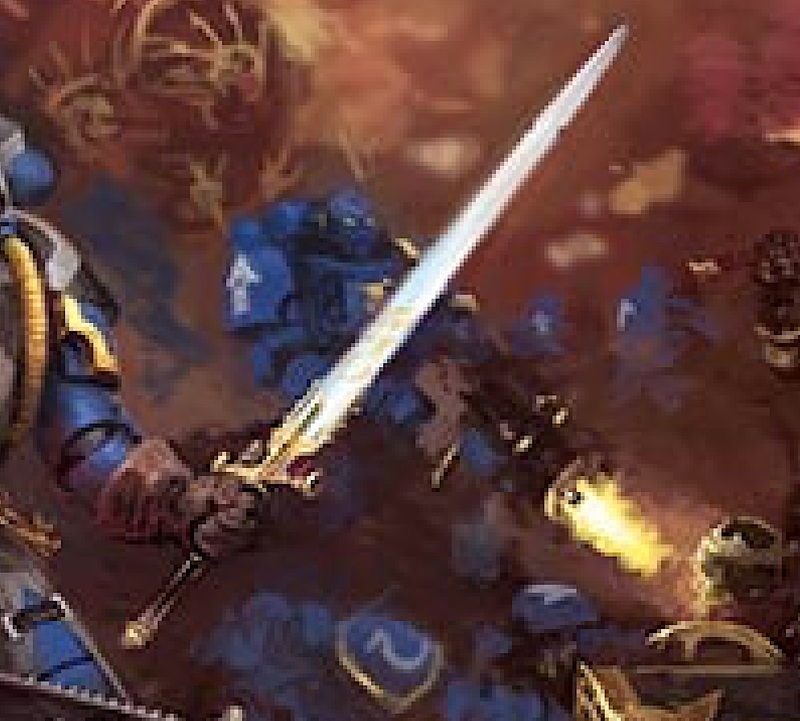 Folks thought it might be a way to make Tactical Marines more relevant, but it just made Intercessors that much better – and made their weapon options a pretty obvious choice. So what do you think of the new Vanguard? Are you excited about them? 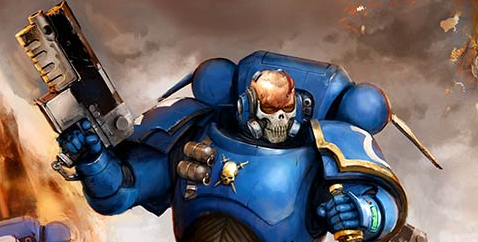 Are you a TAD bit curious about what role they are going to fill in the Space Marine Army? Let us know in the comments!